I recently visited my local Costco, on Commerce Drive in Rochester, MN. 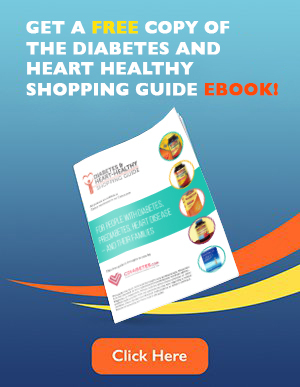 I was especially interested in finding out what Costco carries for people with diabetes, or for anyone trying to maintain a healthy lifestyle. My first stop was at prepared foods. In addition to cooked meats and other ready-to-eat meals, this section has a great selection of salads.I was especially excited about the quinoa salad, which is loaded with protein and fiber to help keep blood sugar levels stable. Next, I went to the meat and seafood department. I was impressed by the large selection of organic chicken and healthy fish, like cod and salmon, which are great choices for people with diabetes. The third stop on my tour was the produce department, where I was amazed by the huge selection of fruits and vegetables. There were eight different varieties of apples, vegetable trays, citrus, and beautiful tomatoes. I was really excited to see pre-cooked beets, which are perfect for adding to salads and casseroles, as well as easy to prepare cubed butternut squash and the Sweet Kale Vegetable Salad kit. In the beverage section, I found a surprising variety of sugar-free and low-sugar beverages, including sparkling water, sugar-free and diet tea, and almond milk. Wandering up and down the aisles I saw so many more items that are great for people with diabetes or anyone trying to eat healthier. I found Greek yogurt, quinoa and kale, frozen vegetables, oats, peanut butter powder and black beans to name just a few. I took home some tortilla crusted tilapia, and it was delicious on top of a green salad. Finally, I went to the pharmacy and vitamins/supplements department. 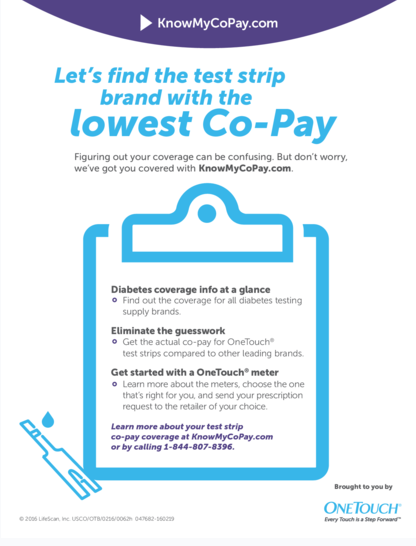 Here, I was looking for products that help people with diabetes keep their blood sugar levels under control and prevent complications from their diabetes. Costco carries CinSulin, a cinnamon supplement whose benefits including maintaining insulin levels and aiding in lowering cholesterol. 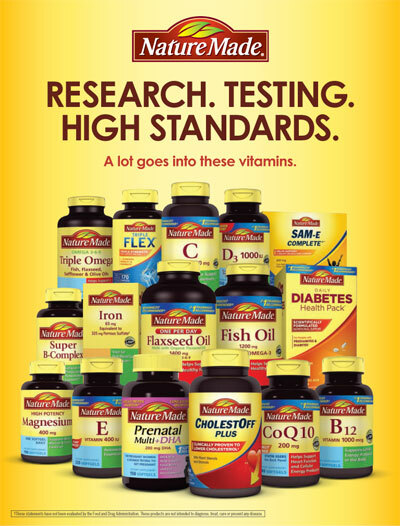 I was impressed by the large selection of Nature Made vitamins, including Fish Oil, Magnesium and Super B Complex. Other supplements I saw were Kirkland Signature CoQ10, which acts as an antioxidant and helps with the digestion of food as well as protecting heart and skeletal muscles, and Cosamin, which helps keep joints healthy. Costco also carries liquid meal supplements like Glucerna, a low carbohydrate and low glycemic index drink for those who are on the go and need a quick snack. 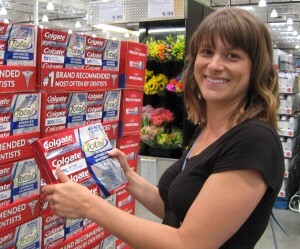 Costco carries many personal care items in the pharmacy section, such as Colgate Total toothpaste. This is important for people with diabetes, as dental health is your first line of defense against many diseases. 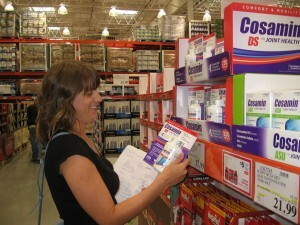 After discovering the wonderful variety of items during my tour of Costco, I can safely say that Costco is your one-stop shop for healthy living with diabetes.